Delicious desserts are just a delivery away! The holidays are hectic. Between shopping for everyone on your list, wrapping presents and making sure they’re placed under the tree come Dec. 25, it’s going to be difficult to find time to bake Grandma’s special pie recipe before Christmas dinner. Thankfully, there’s a new delivery service called Red Velvet NYC which can make your holidays much less stressful. 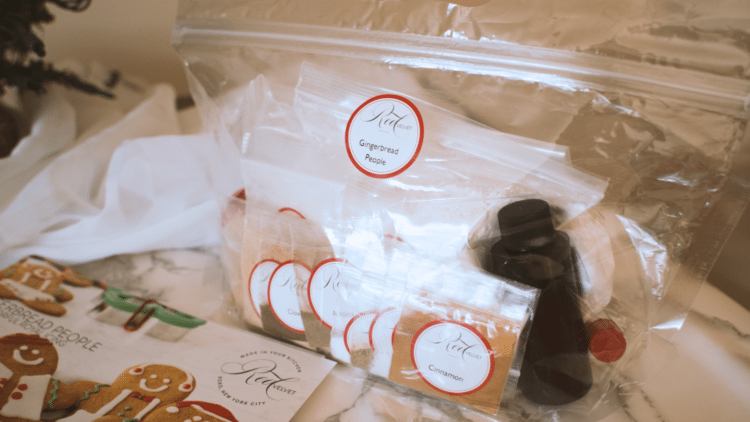 This subscription service delivers everything you need to whip up a yummy dessert, right to your door. It’s as simple as order, arrive and bake — no trips to the over-crowded grocery store needed. OK, so these may not be the recipes that have been in your family for generations, but they are hand-crafted by pastry chefs and sure to be delicious. 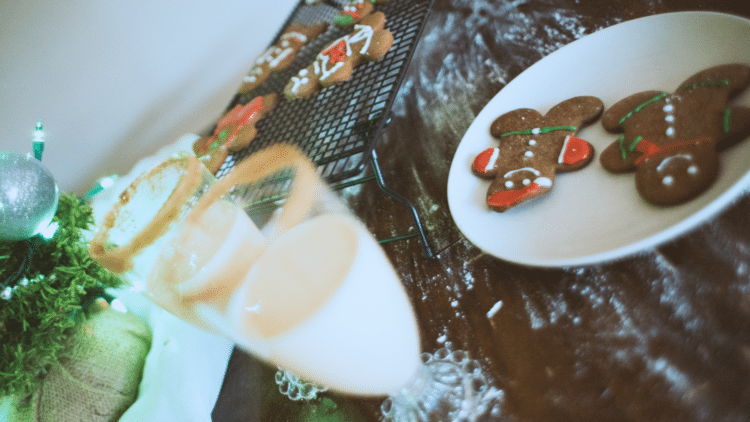 To prove it, I put their Gingerbread People recipe to the test. Red Velvet NYC’s package was delivered right to my door containing a recipe card and all of the ingredients, except for one egg. 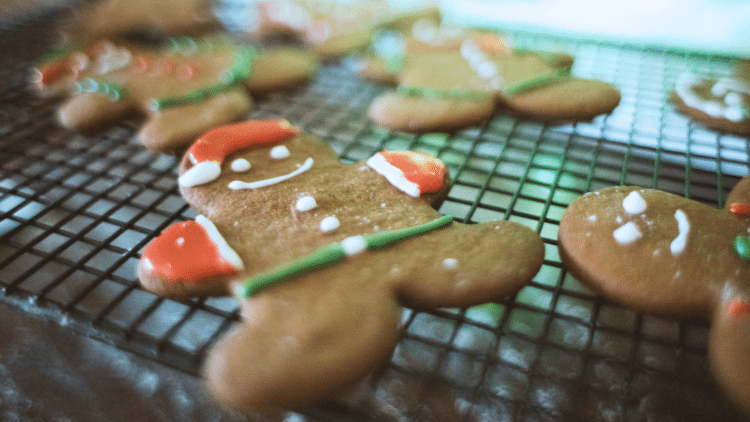 The package included sheets of parchment paper, food coloring for the icing, a cookie cutter, piping bags — everything I’d need to make these gingerbread people a delicious reality. It was time to start baking! The directions were laid out clearly. 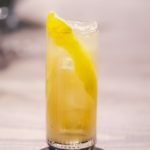 They indicated which ingredients were provided in the kit, which were needed from my pantry and which kitchen utensils (a whisk, electric mixer, etc.) I’d require to make the recipe possible. According to the instructions, this was an “easy” level dessert with 60 minutes of prep time, 60 minutes of chill time and 10 minutes of bake time. The directions were easy to follow, and considering all of the ingredients were measured already, it was simple to dump the items in one-by-one, without worrying about getting exactly the right amount of flour. This definitely took the guesswork out of baking, but still had all of the pros — the amazing smell of cloves at Christmastime, for example! After I’d combined the wet and dry ingredients, the dough was ready to go into the freezer for an hour. 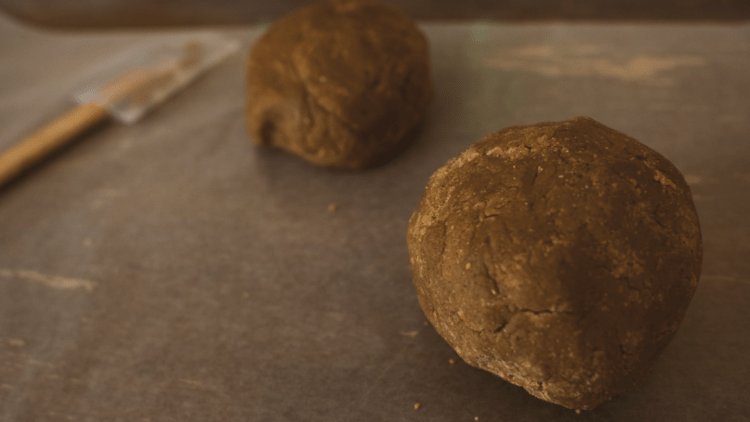 Once the dough was firm, it was time to roll it out and start making those adorable little gingerbread shapes. After baking for 10 minutes and allowing the cookies to cool, it was time for the most fun part — decorating. The icing was a mixture of confectioner’s sugar, meringue powder and lukewarm water. The kit also came with red and green gel paste to make different colors and a piping bag for each. 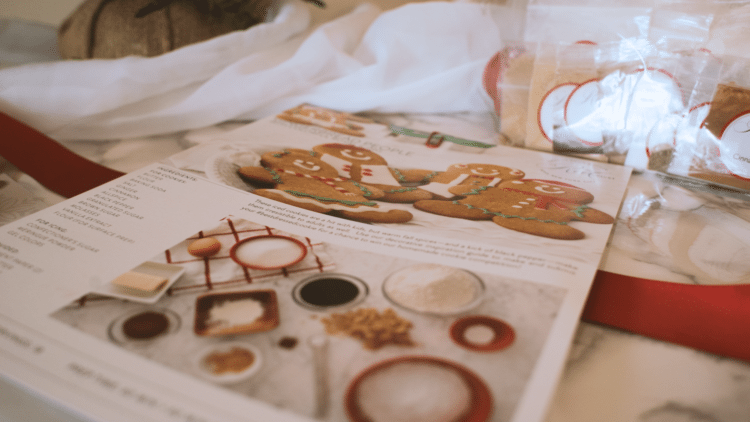 My favorite step was digging into these gingerbread cookies (without even taking the time to clean up first) because that’s what cookie baking is all about, after all! 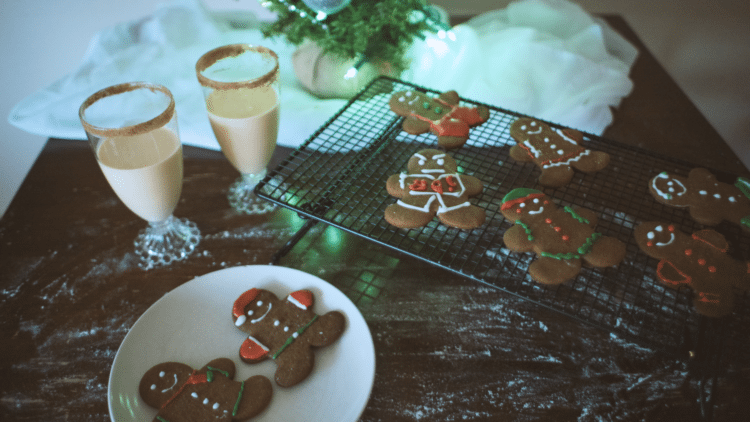 I paired my gingerbread people with a glass of eggnog with extra nutmeg around the rim—yum! After trying Red Velvet NYC’s homemade gingerbread out for myself, I can definitely say these pass the taste test. They were absolutely delicious and perfect for any holiday event. I don’t consider myself to be a great baker, and this recipe was easy to follow and turned out just as I’d imagined. 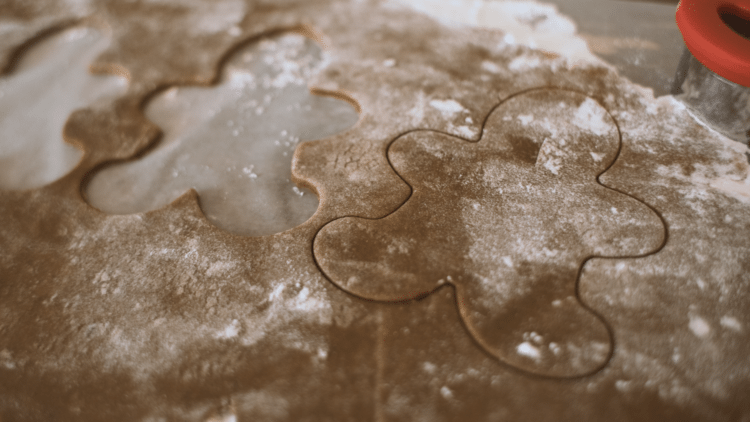 There was still flour to clean afterwards, and I got my hands all covered in dough — it was everything baking should be, minus the hassle. Red Velvet NYC is way more personal than picking up a cake from the grocery store, but it’ll still make any occasion easier. That’s the best of both worlds! Red Velvet NYC has plenty more desserts where this came from, too. They have a variety of holiday options besides just the gingerbread people. For instance, there’s also eggnog sandwich cookies and a chocolate peppermint yule log. So, no matter what you’re hoping to bring to a holiday party, Red Velvet NYC can help make it happen. You can order a one-time dessert or sign up for a subscription and receive two packages per month to bake anytime you’d like. 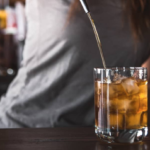 The company offers same day, one day and two day shipping, depending on where you live, so that means there’s still time to order something before Christmas, if you act quickly. Red Velvet NYC doesn’t ship nationwide, but it does ship to 28 different states. See if they’re shipping to where you live. Red Velvet NYC isn’t the only company to making baking easier at home: SoBakeable and Foodstirs also deliver baking ingredients right to your door. No matter which option you choose, there’s sure to be a lot more baking in your life!